Traditionally Moroccans have used baskets as a practical vessel to transport goods on a daily basis. Enormous baskets have been loaded onto animals to carry wood, luggage and other resources whilst the smaller varieties have been utilised by both men and women alike to carry market purchases and other personal belongings. Created out of a practical requirement, the baskets are made from raw, local resources that were easy to manipulate, cheap to produce and would guarantee longevity for the owner. Palm leaves are abundant in Morocco due to the intrinsic climate of the country, as well as being readily available throughout Africa. Perhaps it is the instinctive desire present within all of us to venture back to nature and a establish a state of closeness with natural products all around us that makes the basket so appealing. There is a sense of rawness and simplicity expressed in the design and the material used in a basket that resonates with us as humans. We can understand and appreciate the craftsmanship in a basket, not something we can find with many of our material possessions. 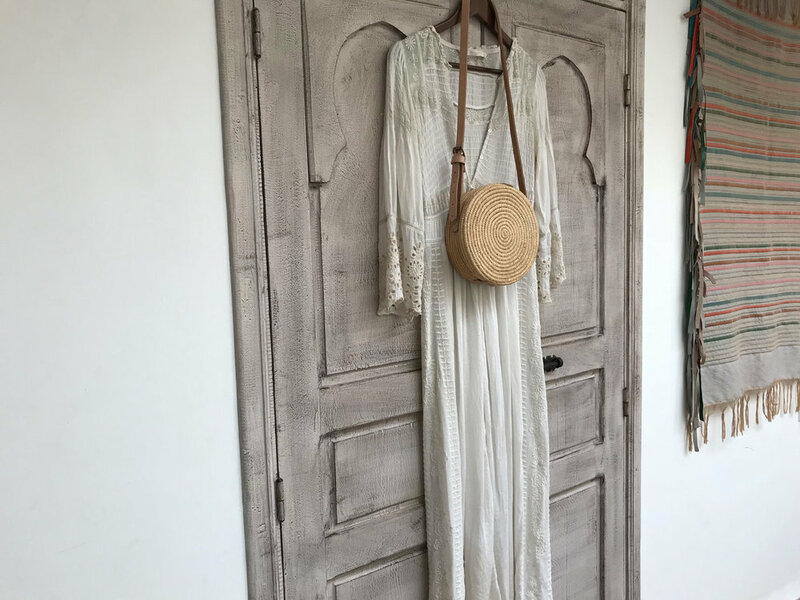 As Summer approaches, the basket becomes the bag de jour - toted on the arms of many a fashion icon, basket bags have their moment. When practicality partners with artistic expression, something beautiful is born.